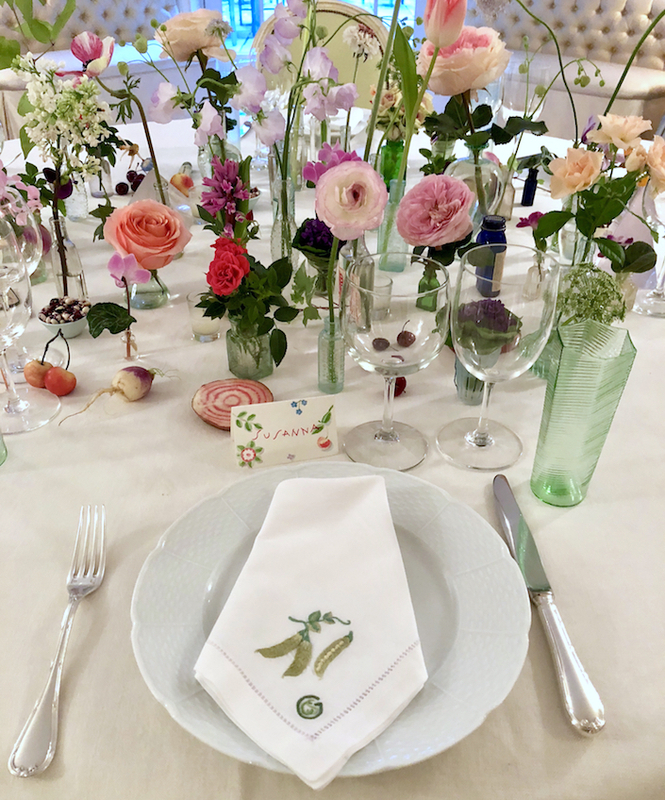 Starting with handmade and hand delivered embellished invitations, Cathy’s tables were, for decades, known not only for their beauty, with stunning floral arrangements but their creativity and originality. After the end of a long marriage, Cathy dealt with despair in her studio, immersing herself in her work and emerging with a new lease on not only life but a burgeoning career. With encouragement from friends, she started drawing more and documenting her process. One thing led to another, and a book deal came her way. Second Bloom celebrates Cathy’s unique entertaining, illustrating and floral design talents in an exuberant volume organized by seasons. Within you can find inspiration to enhance your own tables and events with elegance and a sense of the unexpected. 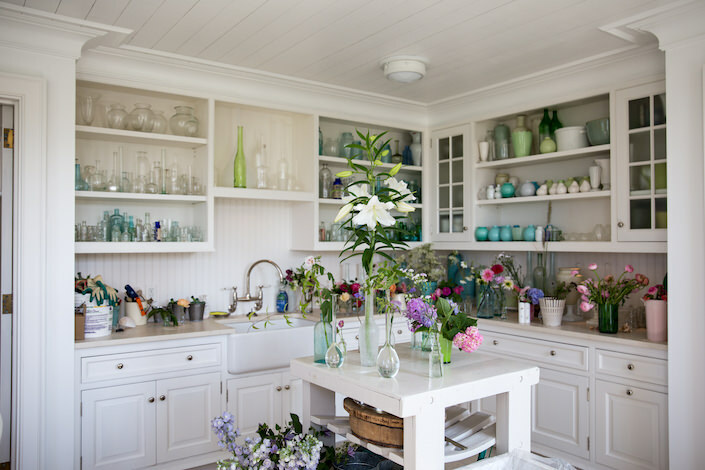 From the quirky miniatures and mini vases she collects, to using fruits and vegetables she finds in the market, to flowers from the garden, there are no considerations too small or detail overlooked. 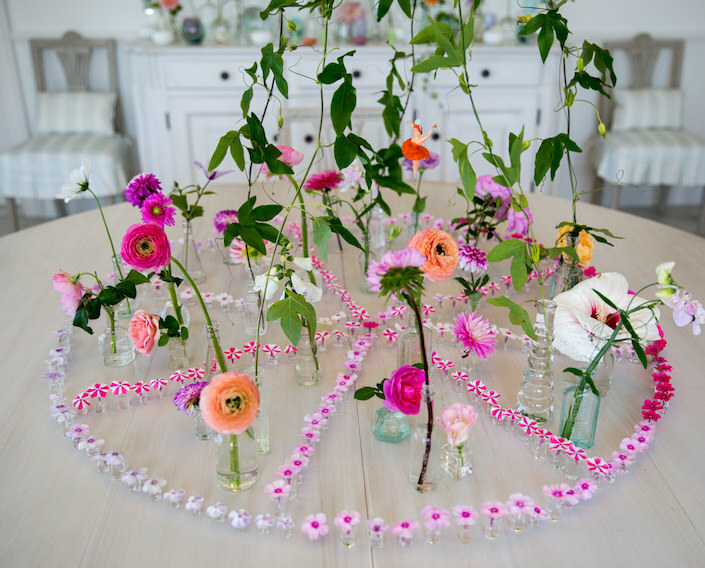 Cathy’s tables are meant to be not only a source of beauty but discovery, providing every event with a conversation starter. 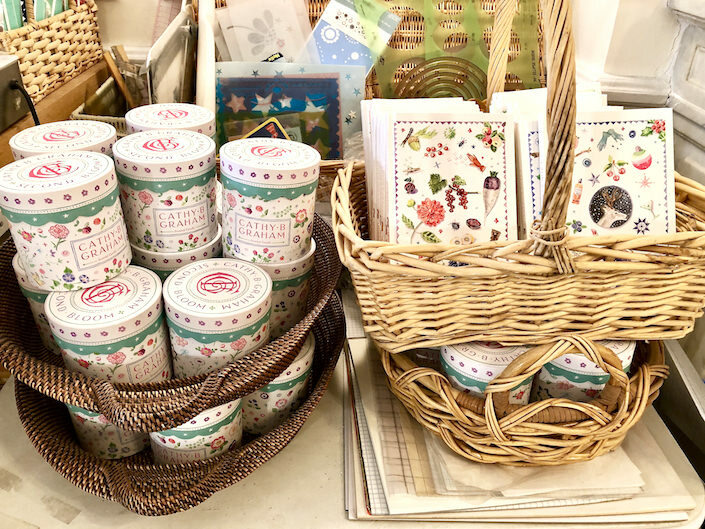 And no matter how elegant or sophisticated her floral arrangements or tables may be, there is always a sense of humor and fun. pajamas with Charmajesty, wrapping paper, scented candles and more, there are more ideas and collaborations in the works. So thank you Cathy, we were so inspired spending the day with you. We will never look at our tables the same way again! This entry posted in art, books, design, Quintessence video series, Setting the Table, video. 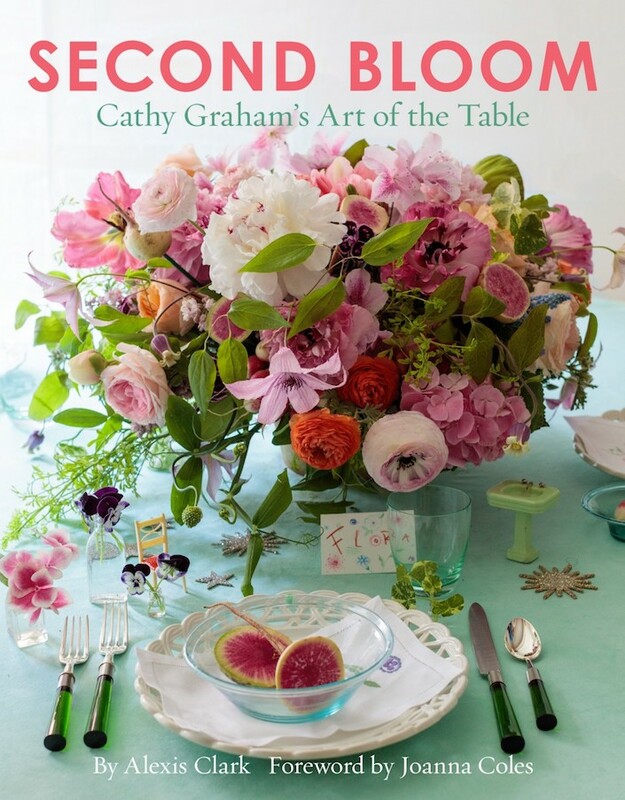 Entry Tags: Cathy Graham, Design Books, Floral design, Flowers, illustration, interior design, setting the table, Setting the Table with, Tabletop, Video Bookmark the permalink. Simply gorgeous, Stacey. Am going on amazon asap! Thank you so much!!! How refreshing! A complete original! 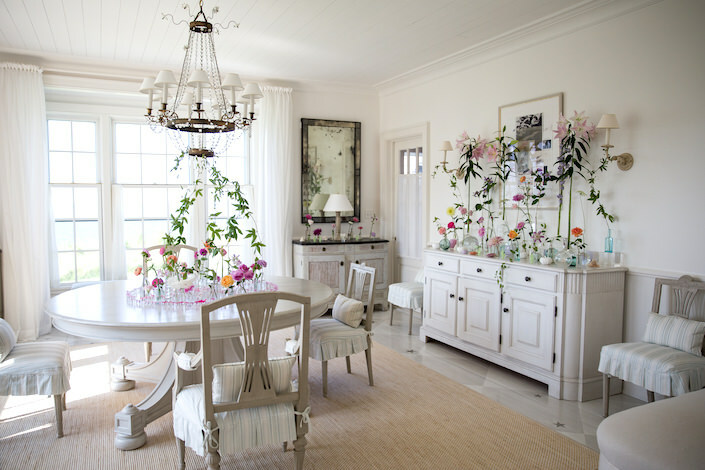 I love tablescaping and am always looking for new ideas. Thanks! 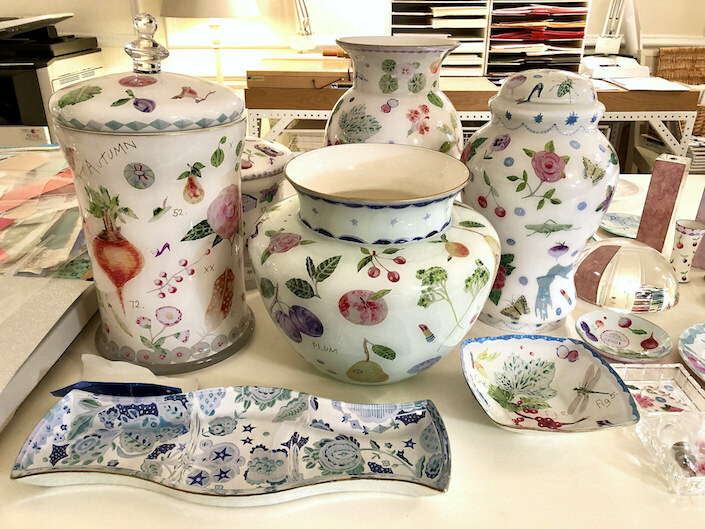 From Chicago Cold White Winters to New York Fun Spring 2019 Tables !! Thanks for the Report. How charming! I have all the quirky vases. Just need the flowers and a reason to celebrate! Stacey and Susanna, fabulous video as always! What a great pick-me-up on a super cold winter day! Love you two! Very inspiring and so much fun! Thank you for sharing! 83 queries in 0.743 seconds.